Oooooh! 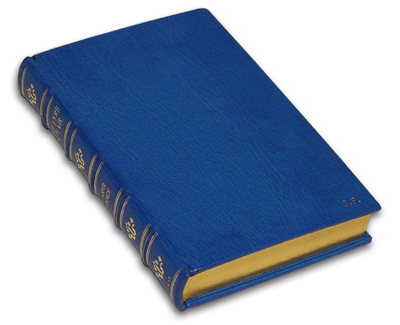 Special leather-bound copy of standard US hardback, presented to moi because The Eyre Affair made it on to the New York Times best-seller list in March 2002. (Number 18 for about eleven minutes, but who's counting? This is wht I have 'International Bestseller' plastered all over my books) Those frightfully pleasant people at Penguin had five made for the people connected directly with the book. There is a gold 'JF' in the bottom right hand corner.